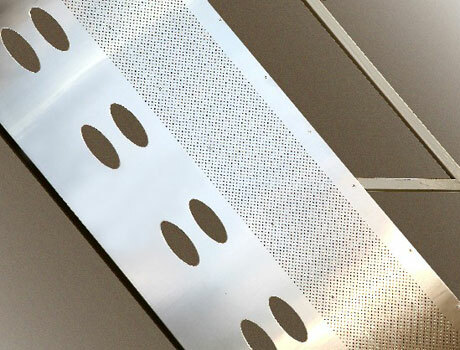 Aluminium coverings are made with panels of expanded metal sheet. They represent an elegant and sophisticated covering solution. The shading of light and the chiaroscuro on the relief surface, typical of the material, are particularly charming. They give movement to the surface, making it attractive and iridescent in light, both artificial and daylight.